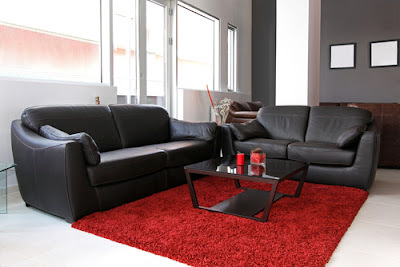 Leather couches are known for their durability, comfort, and the addition of decor in the living room. However, for you to enjoy long services from your leather couch, you should exercise proper care and cleaning methods. If you have a leather couch in your living room, then it's crucial to clean it and maintain it so that it serves for a larger span of life. 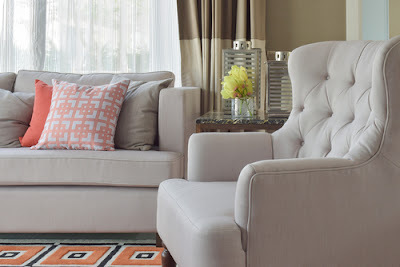 By cleaning the leather sofas regularly not only will you extend its life but it will keep your living room attractive and a pleasantly habitable space. Do not allow months of soiling and stains to build up. The longer you leave it, the more difficult it will be to remove the soiling. With regular cleaning, the task is more easily achieved, without the need for expensive materials or paying for a professional to do it. You do not want to leave it so long that the cleaning becomes an aggressive process with the need for elbow grease and excessive pressure being applied. You simply want to glide over the leather with minimal effort and pressure. Dust build up, and small spillages of food particles are an everyday occurrence and unavoidable. If these are allowed to build up, they will start to cause microscopic scratches in the leather which over time will dull the leather and cause the luster to deteriorate. When cleaning the upholstery, use the dedicated upholstery attachment that came with your vacuum cleaner. If you or any member of your family has accidentally spilled something on the seat, don't panic, put a mix of warm water and dish washing liquid on the affected area using a damp cloth. Rinse the stained area with a clean damp cloth and let it dry on its own. Do not rub on the stain as it may make it harder to remove. Sprinkling some baking soda on the seat of your sofa would keep it smelling good. However, you should apply the right cleaning method in removing particular stains. Essentially, there are methods that will work well for different types of stains. For instance, you should use a dry fabric in removing grease rather than using hot water. For an ink stain, apply isopropyl alcohol on a cotton swab then clean it. Used sparingly, lightly and regularly this solution works well. There is, however, an important proviso; you must replace the natural oils removed by the cleaning process. It is worth remembering that leather is a skin and naturally contains oils and pigments that help maintain its suppleness and moisture content. If you forget this important step, you run the risk of drying out the leather, causing premature cracking and aging. While there are many brands of leather conditioners, it is always wise for you to use a conditioner that you have had experience with in the past. You should always experiment with your leather conditioner selection by using it on a small, hidden spot, in order to determine whether or not it will adversely affect the coloring and/or quality of the leather itself. It is important to note that most leather conditioners will not help you if you have any tears or deep staining. Leather conditioners are primarily used to simply restore the luster of the leather to "like-new" condition. If you do not have a leather conditioner, you can also use baby oil. While many discourage this technique, it is an adequate substitute for a leather conditioner. The only important thing for you to pay attention to when using baby oil is that you do not use too much. Baby oil has a tendency to stay slippery for some time, even after it is buffed; so, use the minimal amount possible, and follow the same steps above to treat your leather sofa. When testing it in a small area of the sofa, make sure the slippery effect is not present. If it is, then you used too much baby oil and vice-versa. It is advisable to refrain from using severe and harsh chemical products when cleaning your leather couch for they can ruin the surface of the leather greatly. It is advisable to purchase the right product for the job; there are plenty of providers out there so sourcing one will not be difficult. Though the prices for quality cleaning products with minimal or no adverse effects on your couch might be quite costly, the results are always worth it. Note that If you don't use the right types of soap or detergent for cleaning it's possible that the leather fabric may lose it's quality because of chemical reactions caused by the wrong kind of solution. It is also possible that the detergent itself creates stains on the surface of the sofa. This can be very damaging for the sofa cover and cost you a great deal in the long run. 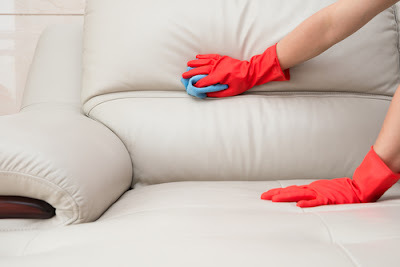 Never ever, ever put any cleaning product onto your leather without first carrying out a small test clean on an inconspicuous area such as down the side of the cushions. Most modern leather upholstery is colorfast, but there are plenty of cheap leather suites that are not and even the mildest cleaning solution could take the color out. Finally, before applying any cleaning detergent on your leather coach, ensure that is fit for the material of the sofa. You should learn about the materials of your coach before embarking on any particular cleaning product. Most sofas will have a tag attached to it that mentions what type of water (cold/hot) and detergent is to be used for cleaning purposes. Most people ignore these instructions and end up having trouble in the long run. That is why while cleaning leather sofas follow the exact instructions of the manufacturer and improve the life of your sofa for a habitable and relaxing environment in your living room. Leather couches are not only durable but make a living room exquisite. However, for you to enjoy longer services from these sofas, you have to carry out regular cleaning and maintenance practices. The tips listed above will guide you on how to clean the leather couches with minimal adverse effects.